No longer do you have to rely upon a permanently-fixed solution to prevent vehicle accidents. Boplan UK Ltd has a variety of flexible safety barriers to ensure your business is protected from even the worst-case scenario. But what exactly are the benefits of using a FLEX IMPACT barrier? With traditional barriers, the force upon impact is distributed back towards the source of contact; in most cases the vehicle involved in the accident, while also focusing on the baseplate of the barrier resulting in the floor bolts bending and cracking the concrete floor. With the FLEX IMPACT safety barrier, the shock is instead absorbed by the barrier and dissipates amongst its own body. This means no force and shock is distributed towards the baseplates of the barrier, allowing the barrier to remain in place even after collision. Boplan FLEX IMPACT barriers also possess much more modularity compared to traditional steel barriers, allowing for easy installation. And should a barrier need any kind of repair or maintenance, rather than removing the entire barrier, the section in question can be removed and replaced without compromising the remainder of the FLEX IMPACT barrier. 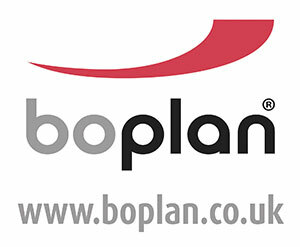 If you have any questions about safety barriers & the benefits they can bring to your business, then you are welcome to get in touch with Boplan UK Ltd using the following details.